The Light 250Mw (L250) is made for the GoPro camera and DJI Phantom 2. It connects directly to the GoPro camera via the USB port (Support GoPro Hero 3 and 3+). 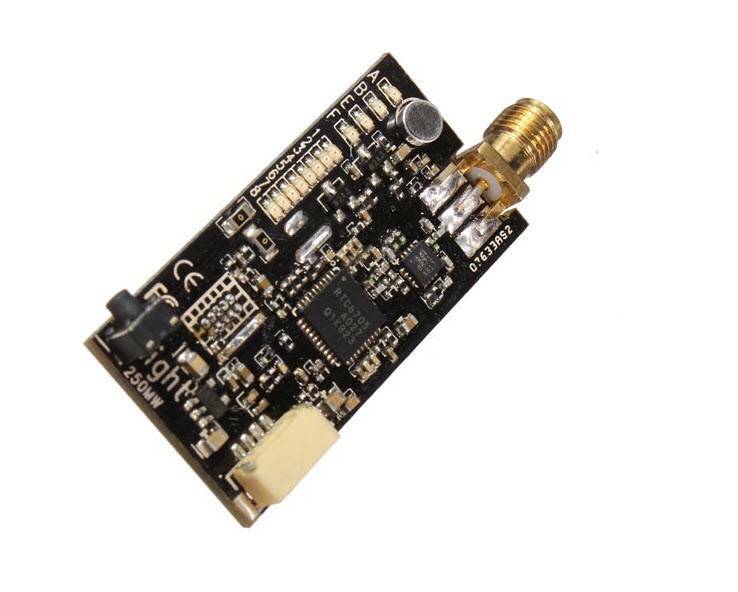 It comes with a SMA connector for easy hookup to many different 5.8GHz antennas. A soft 4pin cable supplied for FPV use, which allows for other video sources if you choose. Power voltage regulator board allows 2-4s batteries to power the transmitter, automatically steps it down to 3.7v. NOTE: to keep the price low, and the popularly of LH&RH. it does NOT come with a Antenna. you will need a RP-SMA .... NOT normal SMA. it is reverse polarized!